Answered: Is Every Door Direct Mail Worth It? Is your local business looking for cost-effective ways to get your message out to potential new customers within a specific geographic area? While digital tactics like Google My Business listings and location-targeted social media ad campaigns are great, there’s an even better tool that many small businesses aren’t familiar with – Every Door Direct Mail® (EDDM®) service from the United States Postal Service. That’s right – marketing via physical “snail mail” (aka direct mail) is still an extremely valuable tool in 2019. In fact, it may be more valuable than ever due to the relatively uncluttered spaces that many people’s mailboxes have become compared to their email inboxes and various online newsfeeds. Today’s post shares everything you need to know to take advantage of this often overlooked marketing channel. How can they make this claim? It’s simple. EDDM offers businesses and marketers the ability to blanket specific ZIP codes and mail carrier routes with their materials without requiring them to provide a list of specific addresses. 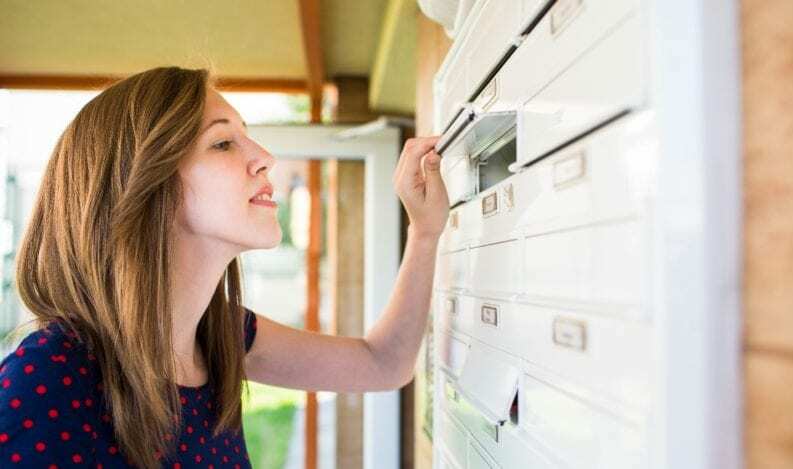 You choose which areas will receive your message in their mailboxes, and postal carriers deliver it to literally every residential household’s “door” or mailbox they visit. What are the requirements for using EDDM? A potential drawback of EDDM is that it only allows you to send what are known as “flat mailers”— postcards, flyers, and similar mailpieces—and they must weigh under 3.3 ounces each. You cannot use the service to send things like small packages or letters contained in standard envelopes. These pieces also will not be individually addressed, which is important to keep in mind. Don’t worry too much about these limitations, however—there are still plenty of ways to get creative with EDDM-friendly pieces! Businesses that send more mailpieces will qualify for that lower rate, but they will also need a postage permit and USPS Business account. They will also be limited to dropping off their materials at a Business Mail Entry Unit (BMEU) or Postal Service™ facility that accepts bulk and permit mail (not all do). The good news is, if you only plan to send up to 5,000 mailpieces a day per ZIP Code, you’ll have a bit more flexibility with the EDDM Retail-level account. You won’t need a postal permit, and you’ll only pay slightly more per mailpiece. Who is EDDM most useful for? The types of businesses and organizations that benefit most from running EDDM campaigns are those that rely on a localized customer base. For instance, here in Lancaster, PA, these might be restaurants, medical practices, home improvement contractors, or houses of worship that want to target specific neighborhoods closest to their locations or within their service areas. Non-profit organizations can also utilize EDDM to spread their messaging or even market a specific event or fundraiser. In fact, non-profits often qualify for postal rate discounts, so the cost to use EDDM may be less than the published per piece rates. Get in touch with us here at The H&H Group to learn about the discounts your group may be missing out on today. While some marketers look down on EDDM because it’s a bit impersonal, it’s a great value when compared with the pricing for traditional direct mail advertising, especially for smaller businesses with minimal marketing budgets. As you begin to explore getting your message out to thousands of potential new customers’ mailboxes, you’ll first need a good strategy. Here are some tips for success. Think about what you want your mailer to achieve. More phone calls from potential customers who might need your service? Visits to your new neighborhood restaurant? Taking a few minutes to understand what you hope to gain from your advertising allows you to determine later whether it was worth the money you spent. Keep messaging simple, but be BOLD! Make use of large format sizing for the mailpiece, incorporate appealing graphics and imagery, and don’t forget a clear call to action (known in the marketing world as a CTA). Don’t be shy – tell your recipients what you want them to do when they see your mail! One of the best ways to get people to call you or visit your business is to provide them with a discount. Include coupons or give an offer that they can redeem if they mention that they received your mailer. In other words, make your mailpiece interactive. Include elements like scratch-off or removable sections that are easily saved in a wallet or by the phone. Going back to your campaign goals, it can be difficult to know if you’ve met them if your mailpiece doesn’t include some sort of tracking mechanism. Unique coupon codes or a particular phone number that is only printed on your mailer can help you track how many people received it and took you up on your offer. Don’t Go it Alone with EDDM – Call The H&H Group! 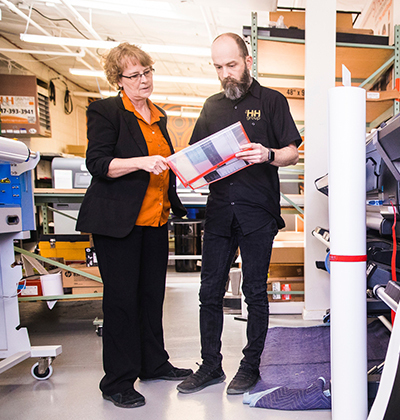 While it’s true that you can handle EDDM campaigns on your own by working directly with the Postal Service, this process can be frustrating and time-consuming, especially if you don’t have a regular, reliable print shop you work with to produce your marketing materials. In Central Pennsylvania or wherever your business is located, The H&H Group can help you meet your direct mail marketing goals, whether through EDDM or other cost-effective mailing methods. Give our experts a call and find out how easy it can be to get the word out and win new business!